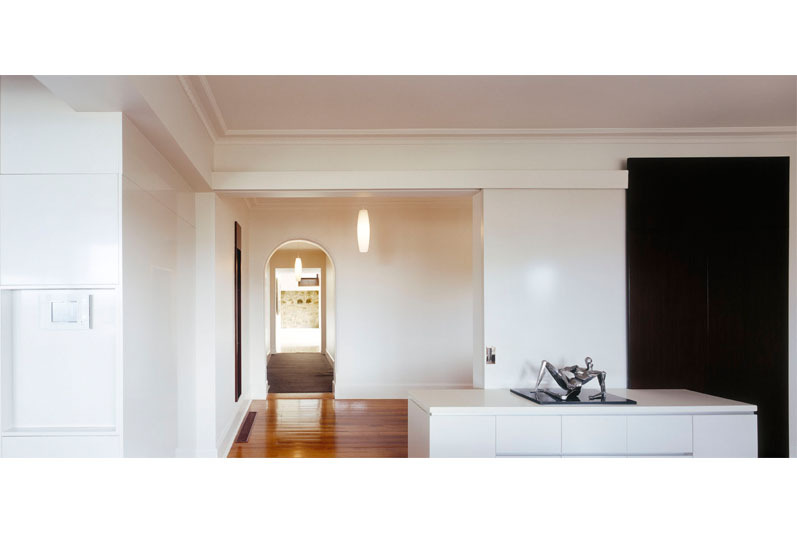 This project involved a major alteration and extension to an existing 1920’s house in Sandy Bay. 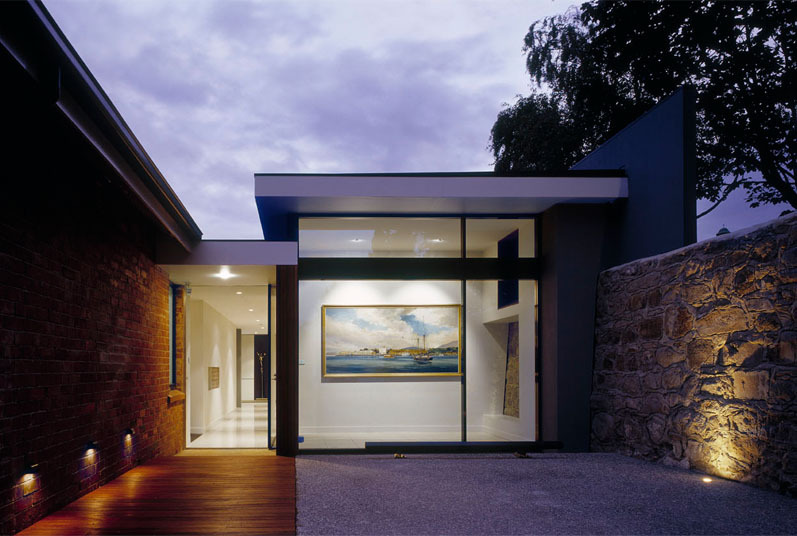 It presented a unique opportunity to provide two separate additions; an inward focused rear extension containing gallery, bedrooms and services, and a projecting living addition to the front of the house responding to the panoramic views of the Derwent River. Our approach to this project was to identify the key original elements of the house and then insert a new contemporary extension. 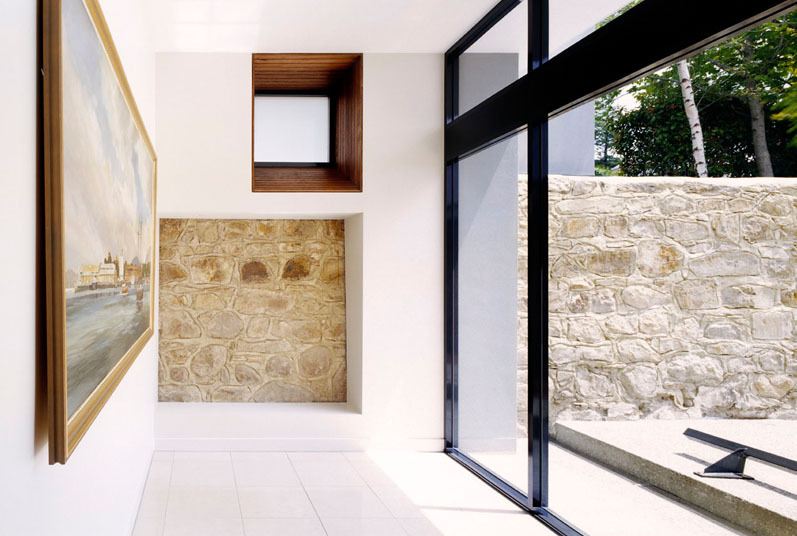 The rear extension focuses on revealing sections of the original sandstone wall and its unique deep reveal highlight windows.